It’s not often that FIFA 19 is criticized for being too realistic. Where stadiums are concerned, however, the Frostbite engine has brought about the epitome of a first-world problem: daytime lighting that can render the game unplayable. Just as goalkeepers sometimes have to wear a cap in order to shield the sun from their eyes, so the contrast between light and dark on the FIFA field occasionally proves problematic, most notably in stadiums where one stand looms over half of the pitch. The name ‘Ivy Lane’ will resonate with long-term players: for close to a decade of FIFA it’s been the de facto home for every large English club missing their real stadium. 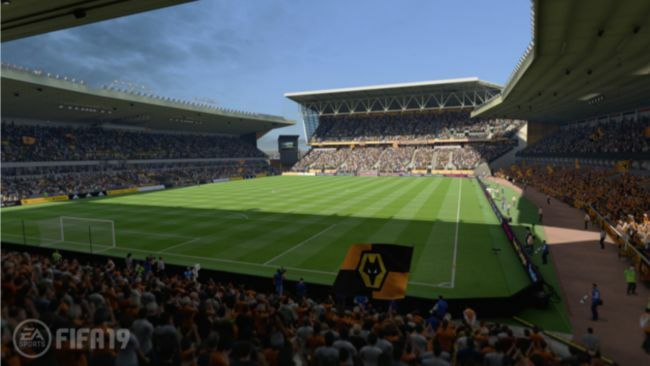 This tradition gave cause for the quite brilliant tweet below when, over the summer, Wolverhampton Wanderers’ famous real ground was finally scanned and confirmed for FIFA 19. That alone means it merits a place on this list – through the grand old dame of Midlands football looks and feels the part, too. 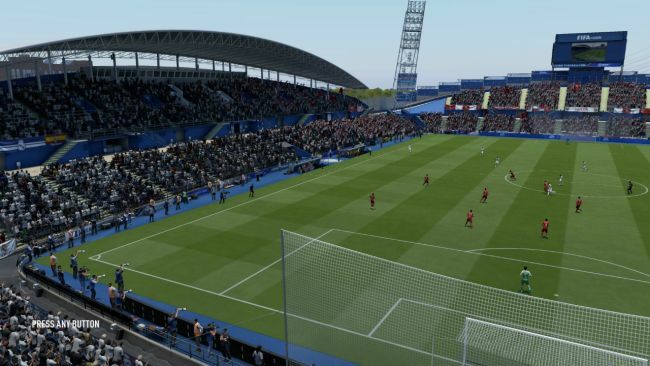 Home to Getafe and one of 16 new Spanish stadiums in FIFA 19, Coliseum Alfonso Perez is equal parts pretty and practical. With a modest capacity of 17,393, its stands cast no shadow on the pitch, and its simple, two-tone pitch pattern reduces visual noise as you knock the ball about. There’s also a pleasing linearity to the way its stands are tiered, which almost give it an advanced create-a-stadium feel. A real gem. Seattle Sounders’ – and Seahawks’ – home ground is another that has no shadows to wreak havoc on the playing surface, but an even bigger plus is its default camera angle. High and wide, it enables you to view almost your entire team on the pitch at any given time. Keep possession at the back and you see all midfielder runs with clarity, while it’s deadly for ping-pong counter attacks with overlapping full-backs. No radar needed at CenturyLink, giving it strong consideration for long-term usage. 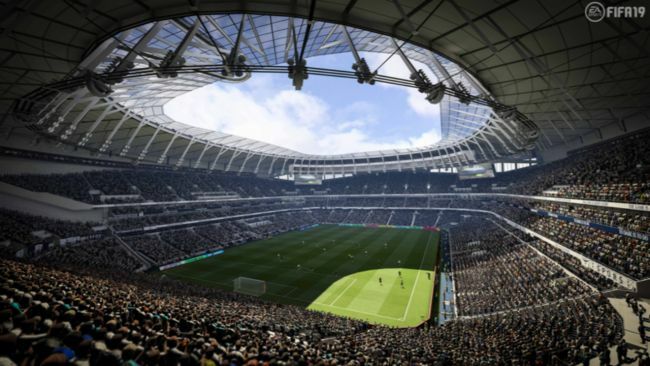 Spurs’ new ground makes our list for a very specific reason: it’s the only stadium in FIFA 19 that (at least for now) is exclusive to the video game. Originally scheduled to be open in time for the 2017/18 season, construction delays have seen its real-life unveiling repeatedly pushed back – yet in FIFA it’s been available since the game’s September release date. Shadows can be a pain at the right-hand end of the pitch, but it’s still worth toying with given its unusual status. There’s a theory among the FIFA community that using grounds with smaller capacities makes the Frostbite engine handle more smoothly because it isn’t having to render in thousands of fans and other assorted paraphernalia. After much testing, it’s not a theory I subscribe too, but it’s only right that you make up your own mind. 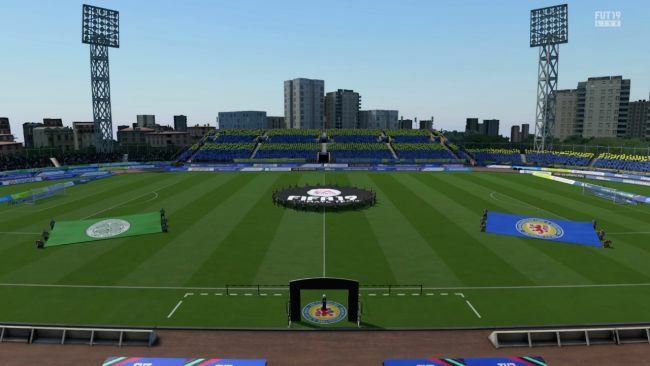 The fictional, EA-created Euro Park is a fine setting in which to do that, available as a bronze card for just 150 coins, and with an athletics track around the pitch helping to reduce onscreen clutter. 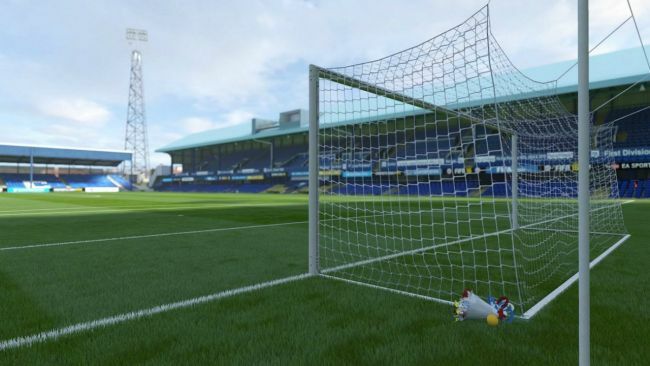 Pompey’s home ground is excellent to use from a gameplay perspective, with the only shadows cast by the low-roofed stand nearest to the camera, and not at all problematic. But that’s not my reason for including it here. Instead, it’s for one lovely, intricate detail behind the goal at the left-hand end: a wreath in honor of FIFA developer Simon Humber. The series’ former creative director passed away from ocular melanoma in 2015, and as a long-time Portsmouth devotee, the wreath honors his memory in a subtle yet touching way. 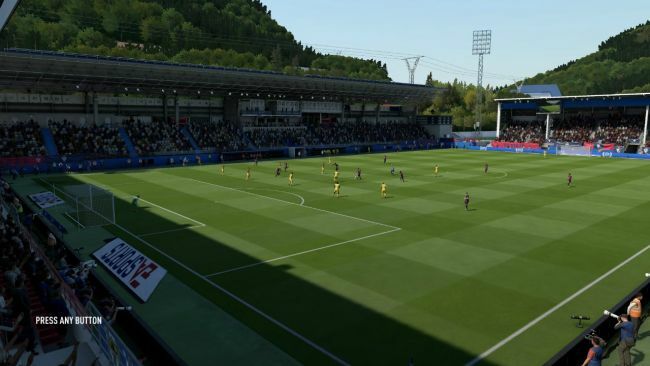 With lustrous foliage behind three of its stands and two tall apartment blocks looming over the fourth, Eibar’s home ground is a FIFA setting like no other – literally, as with a capacity of 7,083, it’s the smallest licensed stadium in the game. It’s exactly the type of ground English fans are used to seeing in TV broadcasts of third-round FA Cup ties between a minnow and a Premier League club, and thus the perfect Ultimate Team setting for a footballing romantic. If such a thing exists any more. 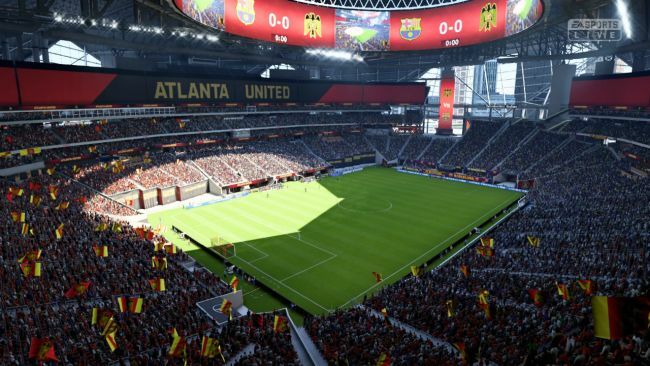 Atlanta’s new stadium isn’t ideal in terms of on-pitch shadow but still warrants a look because of its uniqueness – albeit in a very different sense to Eibar’s ground. 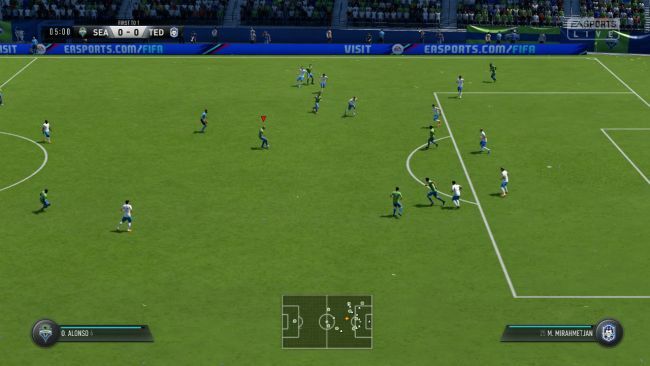 The only area of brightness on a sunny day is in the bottom-right-hand-corner of the pitch, and your eyes do acclimatize to this after a few games – giving a sneaky online advantage if you want to play things naughtily. It’s also a stadium full of unorthodox visual flourishes, such as the massive circular scoreboard looming above the center circle. Love or hate Jurgen Klopp’s men, there are few greater sights and sounds in football than the entire Kop singing You’ll Never Walk Alone. 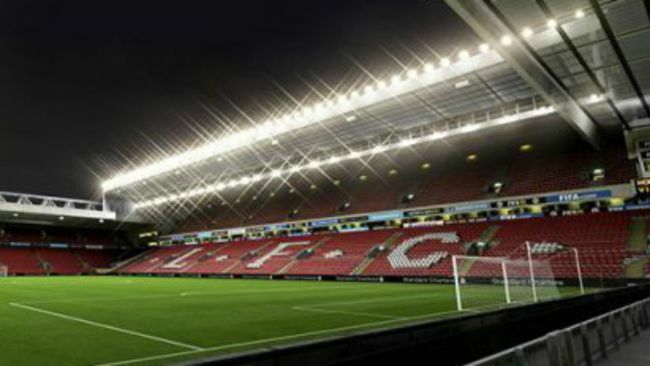 Anfield enables you to replicate that atmosphere through Ultimate Team, in a stadium with no bothersome shadows on a sunny matchday. Note, however, that chants in this mode are tied to your club badge rather than the stadium. That doesn’t mean you have to shell out for Liverpool’s crest though: Celtic, whose fans also belt out the Gerry & The Pacemakers hit before and during matches, will work just as well.